We capped it off with some very nice bubbles - the perfect celebration. It's hard to believe it's 2013 already, time's just whizzing past. 2012 was a good year which we will both always remember fondly as when we bought our house and settled in to make it a home. I started my website portfolio and blog and put the train journey to good use by catching up on a number of books that had been sitting unread on my shelf for far too long. For the first time in a long while we weren't out watching fireworks explode above our heads in pretty ethereal colours. 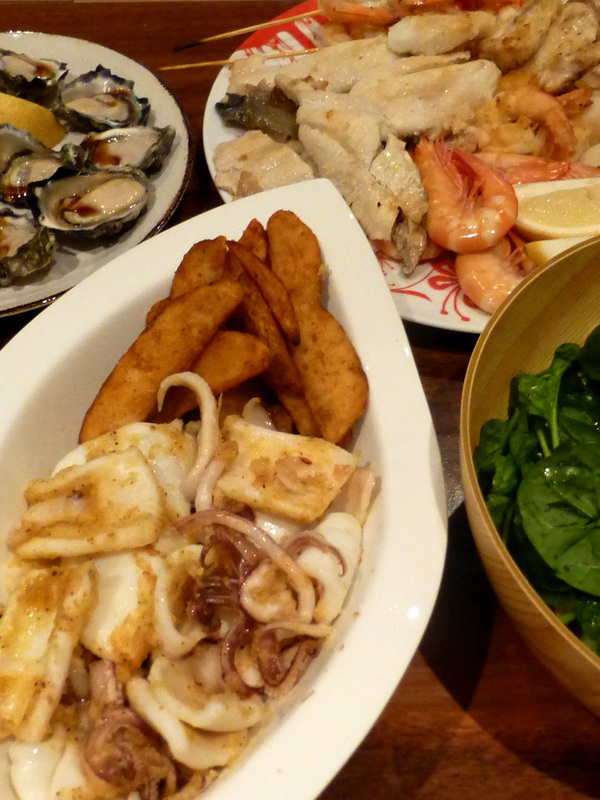 Instead we bought a huge seafood platter from our local fish and chip shop. We cooked it ourselves on the BBQ and wound up with platters full of seafood to enjoy on our verandah and watch the fairy lights sparkle in the garden. It was far too much for two to eat but the leftovers made a nice leftover Marinara mix.